The 6061 aluminum plate is an alloy that has been made with silicon and magnesium. 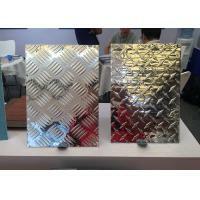 It is a readily machinable, weldable and formable grade of aluminum. It is the highest in its class of heat treated aluminums when it comes to corrosion resistance. This allows it to be used in heavy duty structures and marine environments. This product has a protective surface film that helps keep it from corroding. For further corrosion resistance, other coatings can be applied or anodizing can be performed. The electrical conductivity of this metal is 40 percent of copper. It is frequently used in the electrical field in the form of electrical fittings and connectors. Other applications for 6061 aluminum grades include marine fittings, marine components, fasteners, truck components, hinge pins, magneto parts, frames and structural components. It has a good weight-to-strength ratio, making it ideal for heavy duty structures.